India faces a choice: It could either continue to build increasingly sprawling and inefficient cities or embrace well-designed and people-focused models. Planning, partnerships, and politics are the three key steps to building more sustainable cities in India. Photo by Padmanaba01. Indore’s new Bus Rapid Transit system, the iBus, recently completed a successful run of a hundred days. This system is not just a first in the city, but also in the state of Madhya Pradesh. The iBus spans an 11.4-kilometer corridor, 21 median stations, and custom-designed buses that are expected to serve 50,000 passengers per day. The new bus system arrives as India embarks on a major demographic transition. 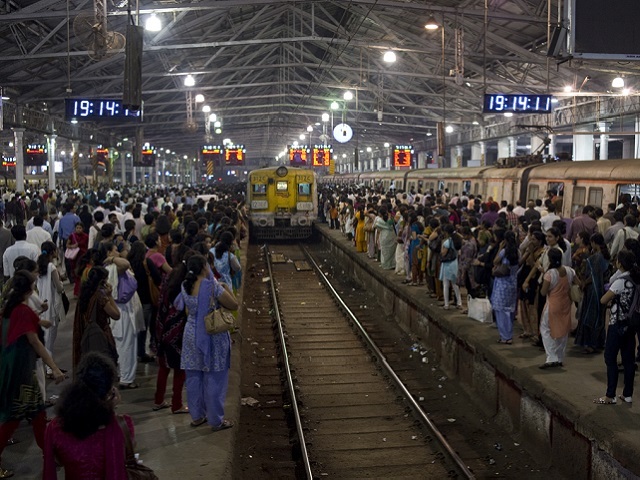 Over the next two decades, India’s urban population is expected to double to more than 600 million people. Urban centers will soon comprise 40 percent of the country’s population and 70 percent of new employment. Well-designed cities carry many benefits. Cities unleash creativity that spurs growth and innovation. They bring access to good jobs, education, and health services. Compact urban areas offer lower-cost access to water and greater energy efficiency. High-quality public transit can save people time and money. These opportunities can, in turn, bring people out of poverty and lead to higher quality lives. However, today, many of India’s cities are still not yet on a sustainable pathway. Poorly designed cities can bring health challenges from inadequate water systems and pollution. For instance, half of India’s cities lack piped water. Another recent study found that in Bangalore 88 percent of groundwater is contaminated with sewage. Major cities, like Mumbai, Kolkata, and Chennai, are growing out, not up. Spread out cities lead to longer trips that consume more energy, waste time, and pollute the air. Longer travel times and more cars on roads often lead to more traffic accidents and deaths. India alone accounts for 15 percent of global road fatalities. How then can India build cities that are safer, smarter and more sustainable? Our recent report “National Investment in Urban Transport: Towards People’s Cities through Land Use and Transport Integration” provides recommendations for how to effectively use new funding. Great cities put people at the center. With proper and integrated planning, cities can thrive. Planning holistically can help create vibrant urban areas supported by robust transportation networks, with access to jobs, education, and health services. The 12th Five-Year Plan of the union urban development department acknowledges the principles of integrated land use and transport planning and encourages supportive land-use practices to minimize travel. Now is the time to turn things around. In fact, the implementation of smart urban design is already underway, albeit gradually, in various urban centers across the country. Indore’s new iBus BRT system, built along the city’s lifeline – the AB Road – will help transform the city by providing high quality, safe, reliable and affordable mass transit service to residents. For instance, dedicated bus lanes that segregate motorized and non-motorized traffic and signal prioritization systems contribute to reducing the journey time. Passengers on the iBus have on average 22 percent less travel time compared to ordinary city buses. In the west, Ahmedabad offers one such better model. Its BRT system, launched in 2009, will carry over 500,000 passengers per day once completed. The city’s comprehensive development plan will ensure high-density, mixed-use development. Massive investment will flow into India’s cities in the coming decades. Most of this will come from the private sector, in the form of real estate development, public-private partnerships, and entrepreneurs seeking new opportunities. The challenge will be to ensure that these investments are channeled in a sustainable direction. Public sector funds are important and can have a catalytic effect. For example, the Jawaharlal Nehru National Urban Renewable mission (JnNURM) has invested Rs. 110 billion over the past seven years into urban infrastructure and basic services, and another Rs. 220 billion will soon be allocated. This is the type of investment that should be channeled toward sustainable projects that will encourage the right priorities for public sector investment. Creating sustainable and vibrant cities requires a political commitment to a long term and locally-shared vision. Power over cities is often held at the national or state level. Instead, authority should increasingly be shifted to the municipal level, such as by empowering locally-elected mayors and city councils. Cities also need to improve transparency, accountability and public participation. Decision making should cut across sectors, break down silos between departments and involve the private sector, civil society, and the residents who will be affected to build popular support for long-term policies. Noted Indian architect Charles Correa recently said, “India’s cities are its greatest wealth.” By pursuing a sustainable pathway, India’s development will benefit its urban population and create world-class cities for all to see. It’s up to India’s leaders and policymakers to make this vision a reality.